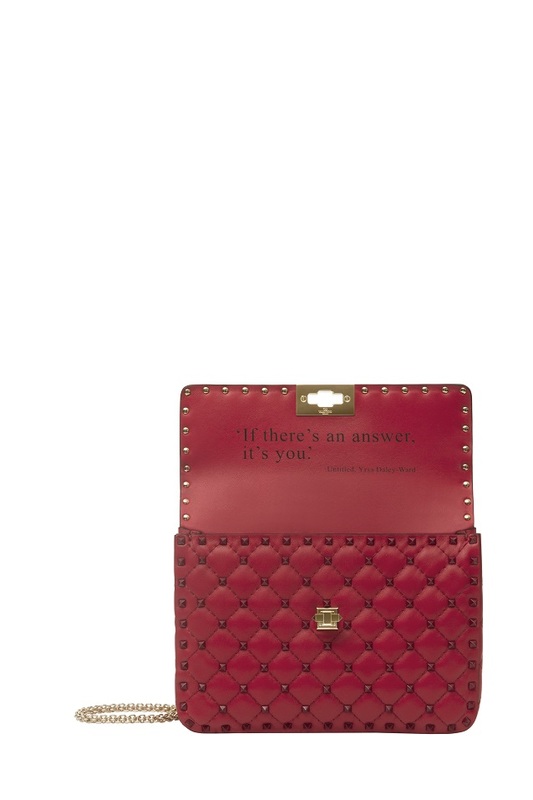 VALENTINO On Love is a project conceived by the dialogue between the Valentino Creative Director Pierpaolo Piccioli and Yrsa Daley Ward, the west Indian west African poet who identifies herself as young black, activist and feminist LGBT female. Her poems are instinctive gestures that narrate emotions and have reached worldwide readers through Instagram and through two successful books issued by Penguin Books (Bone, 2017; The Terrible 2018). Pierpaolo Piccioli confirms through this project his interest in conversing with non-conventional personalities that place love and freedom at the center of their artistic and intellectual activities, in an overview that allows a constant self-discovery. 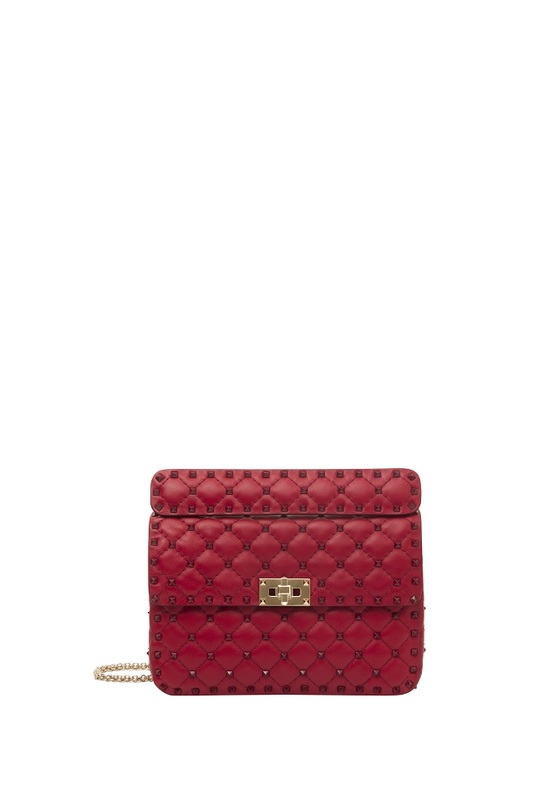 Valentino On Love is a collection of limited edition of 400 Valentino Garavani red Rockstud Spike bags with red studs. Each bag will be numbered and costumed with one of Yrsa Daley ward love poems dedicated to the project and is accompanied by an exclusive book featuring unpublished poems on love by the author and a special packaging.